My favorite part is the amiibo. Nintendo is continuing its series of Zelda re-releases with the upcoming The Legend of Zelda: Twlight Princess HD. This was one of the more divisive titles in the series, and it's great that we're all getting a chance to give it a second glance. The title will be receiving a full HD visual upgrade and extra goodies. The game will have amiibo support, with the collector's edition coming with a Midna and Wolf Link amiibo created especially for the game. It will also support amiibo of other Legend of Zelda characters though details are sparse right now as to what that means. 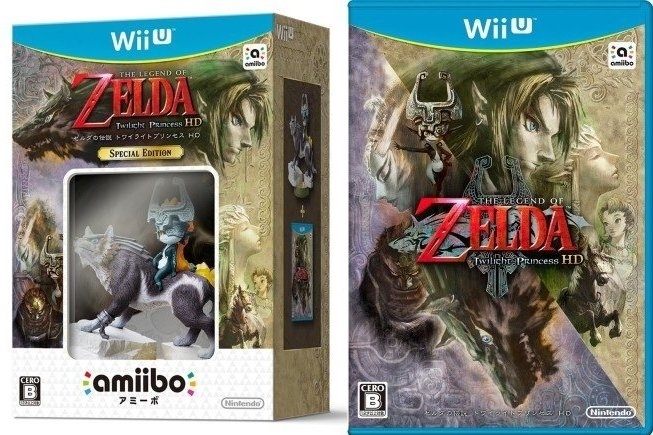 The Legend of Zelda: Twilight Princess HD will release March 4 in North America exclusively on Wii U.